I entered the world of photography when I was in high school. I photographed landscapes while hiking mountains in Montana, where I grew up. I moved to the Seattle area in 2000 and discovered many more hikes to photograph. I also did some traveling and photographed destinations from Mexico and the Caribbean to Peru. It wasn't until I joined the Seattle Flickr Meetup group that my hobby became more of a passion and some might say an obsession. I started shooting more of a variety of subjects from street, architecture, people and food. Now, most of my photography is centered around my homestead. I'm frequently taking photos of my honeybees, garden and chickens. I had became a group organizer after a year of being an active member of the Seattle Flickr group. 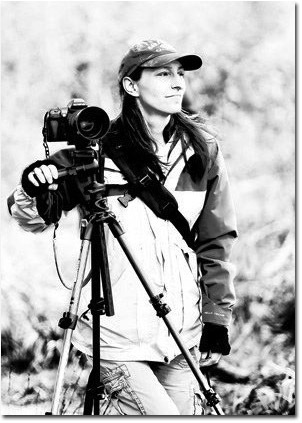 I learned so much from being around other photographers of various levels and began collecting more cameras and lenses. I have a blog called Gapey's Grub where I mostly blog about cookbooks, restaurants, recipes and homesteading. I am currently a stock photographer for Getty Images, where people are able to buy licenses to use my photos for use in print or on the web.